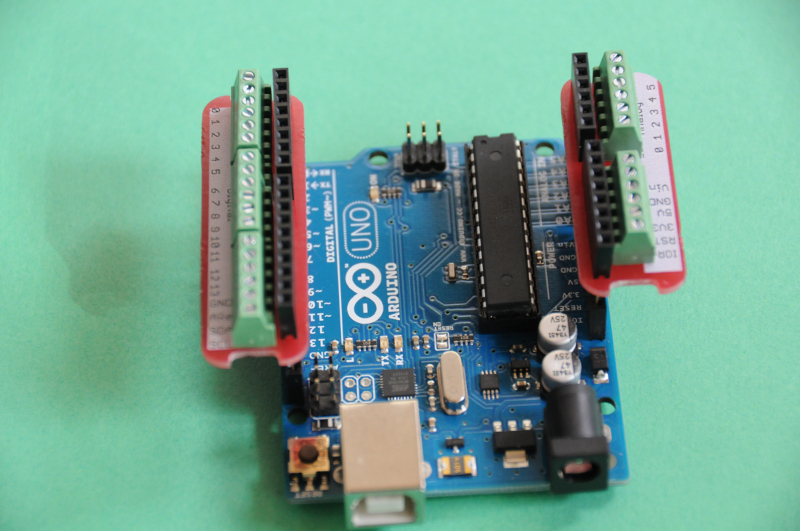 The WingFly shield from Watterott lets you screw cables onto the Arduino instead of sticking them into the headers. This is very practical for prototyping. Very cool design, looks like it might be a little unstable but should be worth a test. Thanks for the comment. It’s rather stable, because the header pins stick deep in the arduino headers.